Have you ever entered into consulting work without a contract? CCG stresses the importance of the contracting phase in any consulting engagement. If done in a good way, negotiation of fees can begin to build a sense of partnership and collaboration between the parties. A good agreement should be balanced in such a way that both parties feel that they are receiving fair value for what they are providing or receiving in exchange for such value. A very common cause of failure for change engagement is misalignment or lack of agreement around fees upfront. In many cases consultants do not take the time to discuss fees in full with their clients because they fear that in some way this process will alienate their client. What results from a lack of alignment around fees is that this comes back to haunt the consulting engagement in the future, when budget is no longer available for the engagement to continue or either party disagrees on what is to be provided and for what fee. In the same way, a change request process is critical to allow for additional professional fees to be paid, should the scope of the engagement change. As a result of these points, we would very strongly stress the need to have in-depth and sometimes fairly protracted discussions around professional fees. What is the appropriate hourly rate or project fee that will be charged for the piece of work undertaken by the consultant or consulting firm? In very clear terms, what scope does the project fee cover in total? What budget should the client expect to make available in the event of changes to the project scope? It is imperative for consultants to keep in mind that very often our clients have no idea what is required for the total and successful delivery of the consulting engagement concerned. They need guidance in this regard from consultants. If for some reason the consultant is unsure of what is required for delivery because for some reason the project is emergent in nature, then he or she should say so upfront and provide a fee mechanism that takes into account and manages the risk that such uncertainty introduces into the consulting relationship. 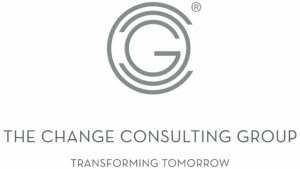 Please remember that consulting is a collaboration between two parties, the consultant or consulting organisation and the client organisation and at the basis of this relationship is trust and the ability to work together. Fees are a common area of distraction or confusion for a consulting relationship and therefore it is imperative that this is taken care of right upfront. Continue to talk through these areas of disagreement and/or risk until there is absolute clarity in these areas and we would strongly suggest that you do not start the consulting engagement until these various points are agreed to and documented. Contracting is a fraught and often difficult area for consultants who are either not sufficiently experienced in the contracting around and negotiation of fees or are hesitant to enter into such negotiations because they feel that they might damage the relationship with their client. It must be said that the same goes for many client organisations. Many of our clients do not have a strong legal background, nor the ability to read complex proposal documents. They may also feel uncomfortable with discussing some of the finer points of such a proposal or internal organisational politics that might have a bearing on the consulting assignment you have been requested to deliver. Regardless, it is imperative for all parties that such difficult topics are surfaced and resolved in the best interests of all parties and towards a successful consulting engagement. To conclude, we believe that the consulting profession is not just about your skill as a consultant in terms of your technical know-how, but equally about your professional and commercial ability to deliver an end-to end product in a methodologically sound and coherent way, which includes the ability to contract, negotiate and engage on an ongoing basis with your client around sometimes difficult commercial challenges. If a consultant is not able to meet these important professional imperatives then we believe the situation not only jeopardises the consulting work that we deliver, but also equally undermines our reputation as consultants.